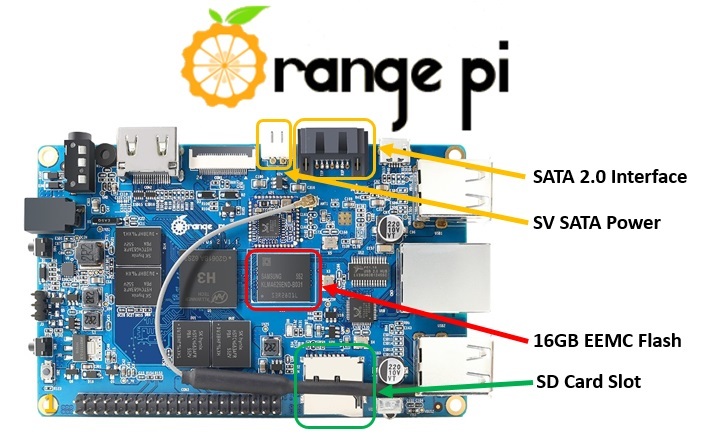 In this article you will see one of Orange Pi’s: the Orange Pi+2 board. 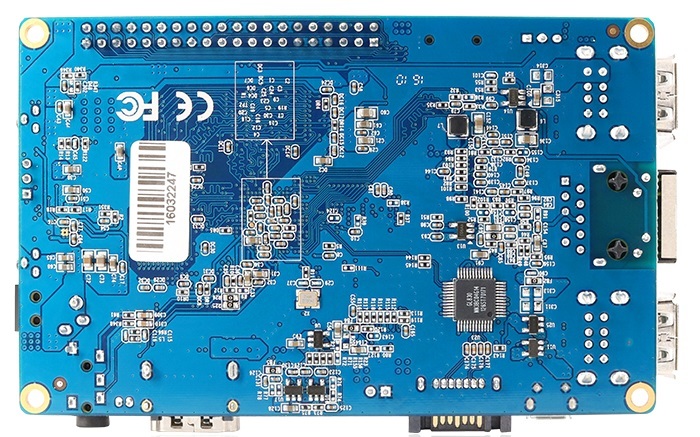 This card is part of all Raspberry Pi-like boards that vary for some technical features (generally enhanced) compared to the corresponding original Raspberry board. Note: Although the card is not really the most up-to-date (December 2015), I wrote this article at the request of some people who are interested in this subject and would like to know more about some Raspberry Pi-like models that you hear so much talk about. 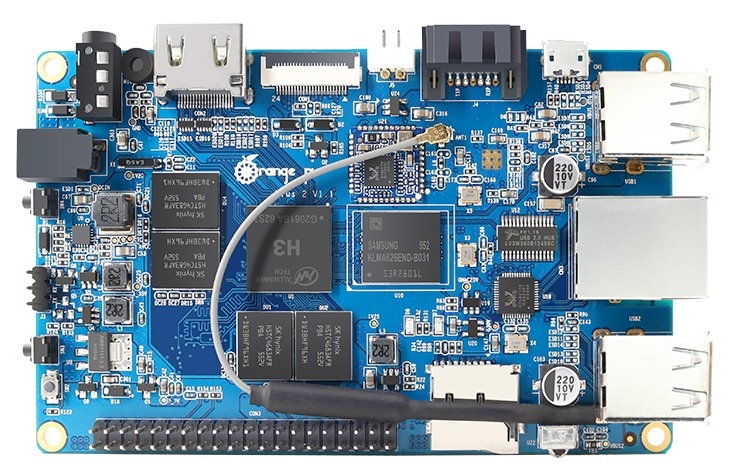 The Orange Pi +2 board was released in December 2015 and it is part of a series of Raspberry Pi-like boards that you hear so much about, and that each of us would like to know more. (If you are interested, you can consult the official website , although it does not contain much information). Orange Pi+ 2, like all other Orange series cards, is produced by Xunlong, a Chinese company that has always been involved in electronics. Using Raspberry-based Open Source schemes, Xunlong wanted to create a series of compatible boards that followed equivalent Raspberry boards but at the same time presenting some superior technical features, by adding some more advanced electronic components. If you are interested in all models of Orange Pi and other Xunlong models, I recommend that you consult this specific Wiki. 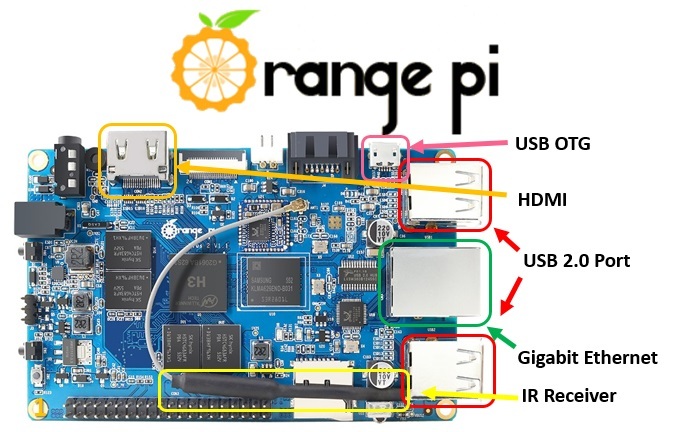 Orange Pi + 2, is therefore a microcomputer that is based on a completely open source project. It has enough computing power to mount many of the most widely used operating systems such as Android 4.4, Ubuntu, Debian and Raspbian. 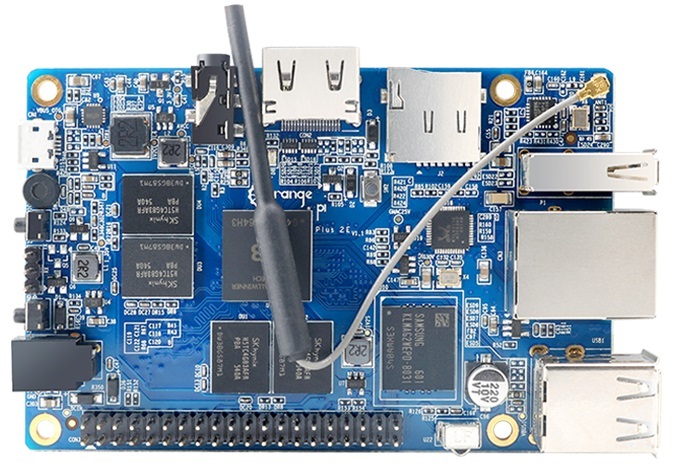 The Orange Pi Plus 2 mounts as a CPU the Allwinner H3 ARM Cortex-A7 Quad Core processor at 1.2 GHz and as a 2GB DDR3 SDRAM memory. It also features a 600 MHz Integrated Graphic Processor (GPU) Mali400MP2. Note: You will often find some post reporting 1.6GHz as CPU speeds. The information is pure marketing as indicated in note  of the official Wiki page. Other interesting technical features are an integrated 16GB memory (EEMC Flash) that can be extended thanks to an SD card slot that can hold up to 64GB of memory. The board supports SATA hard drives up to 2TB. As for communications, it has an integrated WiFi module of the Realtek (RTL8189ETV), an Ethernet 10/100/1000 RJ45 port. It also has an HDMI, a video output, and two audio ports (one MIC and one OUT), 4 USB 2.0 HOST ports and 1 OTG USB 2.0 port. Finally, it also mounts an infrared sensor for remote control functions and 3 buttons. Finally, like all Raspberry Pi-like boards, a 40-pin GPIO connector could certainly not be missing. After about 6 months the release of the previous board, a new version was released in May 2016: the Orange Pi+ 2E . This model does not differ much from the previous one even though the layout of the electronic components has been fully varied. You can see it in the following picture. Everything has remained unchanged, except for the removal of the SATA port and the increase in required power output that passes from DC5V @ 2A to DC5V @ 3A. 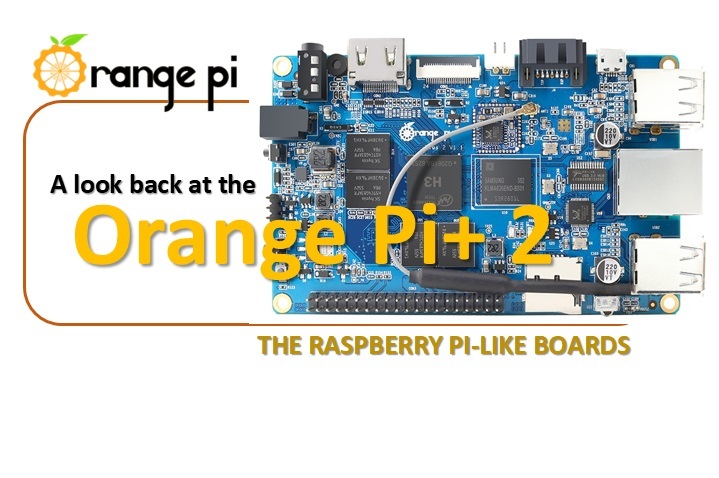 In this article you have seen a quick overview of the technical features of the Orange Pi+ 2 board and its 2E version. The purpose of this article is not to present a new board but to complete a framework of knowledge of the Raspberry Pi-like boards in order to better understand the current overview and the various attempts or approaches that the market is implementing in response to each Raspberry model released.